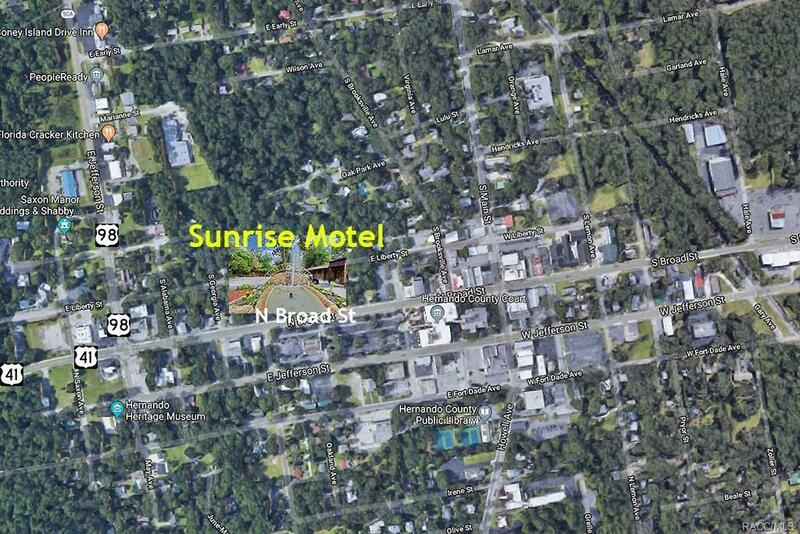 250 N Broad Street, Brooksville, FL 34601 (MLS #774843) :: Plantation Realty Inc.
An extremely rare opportunity to purchase this Sunrise Motel located in historic downtown Brooksville's Main Street area. 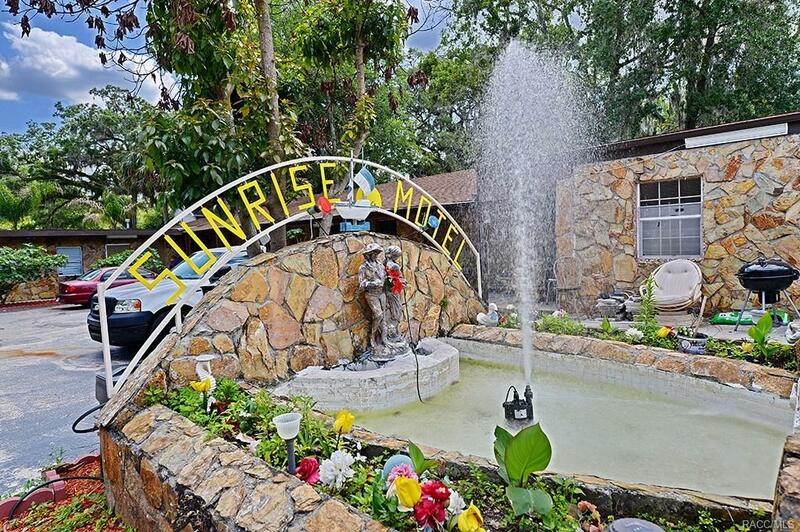 Ideal get-away spot for guest looking to spend a relaxing vacation in downtown Brooksville close by multitude of historic sight, shopping & dining destinations. 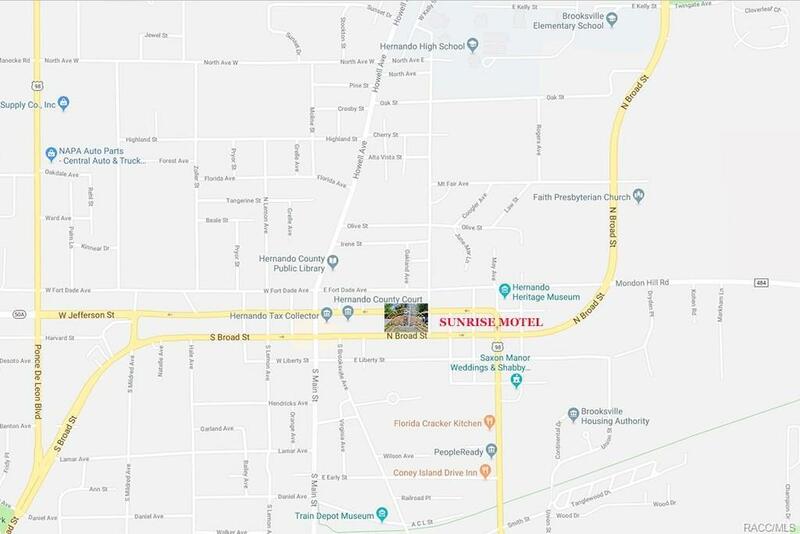 The Sunrise Motel, consists of 12 total units, a separate office, features on-site commercial laundry units, large parking spaces in front and back of the building.Sunrise Motel experiences extremely high occupancy rates! In 2018, the property experienced seven months with above 90% occupancy. Perfect for the owner-operator. Property tours are available by appointment. 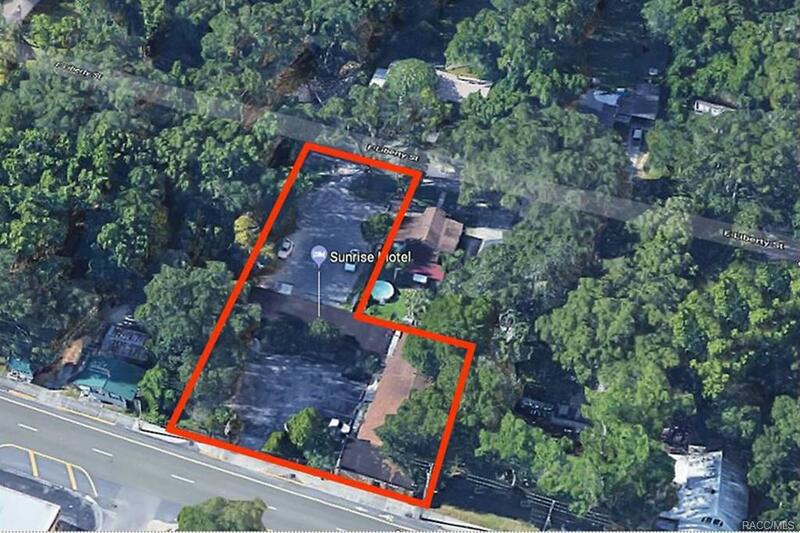 Please contact the listing broker to schedule a tour.